That MSD has been struggling to get the ball off the square for well over a year now is obvious. He is a spent force with his fitness and running between the wickets the only things keeping him even remotely relevant. What is it about so many of us that prevents us from accepting the reality of age, the slowing of reflexes, the graying of the mane, the reality of wrinkles, and the need to make way for new and fresh blood? Kapil Dev hung on long after his knees had given up and his bowling had become an apology – just for that one wicket so that he could nudge ahead of Richard Hadlee – today, so many cricketers have gone past that number he thought he could etch on the stone of eternity. I had observed on another timeline that even Mathadhipathis must retire or descend into Mauna because senility is a reality. The Kanchi Paramacharya, once the voice of the Hindus himself entered into eternal silence and lived like that for close to two decades of his life – it was magnificent to behold – as if the silence of the Universe had entered into him. “Chinnajamiyar” is a colloquialism for “Chinna Samiyar” as Sri Chinnaswami Iyengar was known. 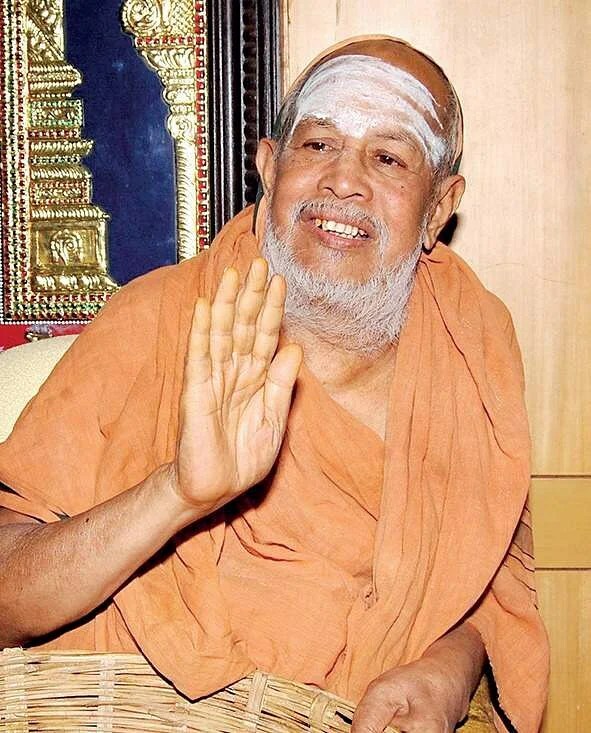 He was what one would call a “Muttrina Thuravi” (a highly advanced ascetic in Tamizh). He led a fairly normal life well into his thirties and in fact was a government servant in British India. In a sense the dropping of the clothes was a symbolic though totally unplanned expression of the dropping away of all worldly attachments. For the rest of his life, Chinna Jamiyar lived like this oblivious to and of the world but totally absorbed in the self. He wandered about for a year sleeping on any Thinnai (the concrete bench laid out in the open courtyard of traditional houses) he felt like. Since he was a local, no one objected – it was after a year that he seemed to come back a little to the plane of normal existence (only a little) and allowed himself the luxury of a Kaupina (loin cloth). Chinna Jamiyar was another one of those great “mauna-munis” the silent Dakshinamurthi swarupa who’s silence was louder than their words. There is a teacher for learning alphabets and numbers. There are artists to teach arts. There is a guru to impart works of philosophy. There is God to grant divinity. But there is only the self for enlightenment. This is Part-2 of the article that documents the ongoing “secular loot” of temples across India. The idea is to make this a living and continuously updated document of how successive governments and the law have come together to institutionalize the loot of temples – “secular loot,” because it is secularism and the way it is applied in our country that is at the root of the problem – what is the justification for Temples alone to be under government control while mosques and Churches are free to do as they please? When it comes to loot of temple donations and assets there is no difference between the Congress or the BJP, the two major parties that have primarily enjoyed power at the center – both of them looked/look at Temples as sources of easy funds – interest-free, no liability, no tenure, and no compulsion to repay – unless temples are freed from government control Hindus and Hindu temples will continue to be exploited by governments. One kilogram of gold necklaces was reported missing from one of the deities in the Tirupati Tirumala Devasthanam (TTD) – later, a priest confessed to the theft and was arrested. The TTD has in its possession jewelry worth 45,000 crores – how much of it is actually still safe? When was the last audit of temple assets and their status conducted? Have the findings of the audit conducted in 2005 and the “inventory of assets” conducted in 2009 ever been published? Questions that have no clear answers. What is however clear is that the temple and the riches it contains – ancient artifacts, jewelry, coins and antique jewelry, devotee contributions in cash and kind etc. are simply not safe under government control – this is a classic case of the fence eating the crop. Temple collections at the Kollur Mookambika steadily grew from 31 crores in 2015 to 44 crores by 2017. The amount spent by the government on the temple (or on devotee welfare) however remained static – a mere 68,000 each year! Where did the difference go? Where was it routed, or to whom? No answers. At the same temple, Shivaram B, a bill collector was arrested for pawning 2,423 grams of gold jewels donated by devotees and spending the money on alcohol and paying off debts he had incurred. The Maharashtra State government took over the administration of the Shani Shingnapur temple by enacting a bill purportedly “with a view to make the Temple Trust administration more encompassing, transparent and also to provide better amenities to devotees.” The government claimed to have received complaints about irregularities at the temple but offered no proof of these allegations. Through this legislation, the government will not only gain control over the movable and immovable assets of the Temple but importantly gain the right to appoint its own Management Committee members – this is particularly important in the light of what recently happened with the Shirdi Sai Sansthan (discussed later in this article). Shiv Sena MP Sanjay Raut gave a new twist to this story when he claimed that the Government move was purely political and was an attempt by the government to get their own people into the temple administration committee. And what were these acts? A completely discredited “activist” Trupti Desai leading a gang of women with the only intention of desecrating a Hindu place of worship. Clearly, in addition to taking control of the administration of the temple, this decision was also to ensure that the “secular” government would pander to the feminist demand to break tradition and allow access to women into the garbha griha of the temple to touch and worship the deity. Much like the recent Supreme Court verdict on Sabarimala, which was based on a need to pander to the “Feminist Imperative” with scant regard to tradition, it appears that the takeover of Shani Shingnapur temple has at least partially got to do with the need to “modernize” Hindus. The Shiv Sena accused the present Fadnavis government of targeting only temples while sparing Churches and Mosques. The Shiv Sena legislators while protesting outside the Maharashtra assembly voiced their concern about the loot of temples under government control including the Tuljabhavani temple in Osmanabad – here too there have been reports of embezzlement of funds and loot of devotee offerings. The info-graphic below summarizing the loot of Temple assets in Tamil Nadu shows how 50,000 acres of prime temple land has been lost to encroachments. The Madras High Court ordered the TN-HRCE to initiate urgent steps to retrieve these 50K acres at the earliest but little has happened since then, with the HRCE reluctant to take any concrete steps. 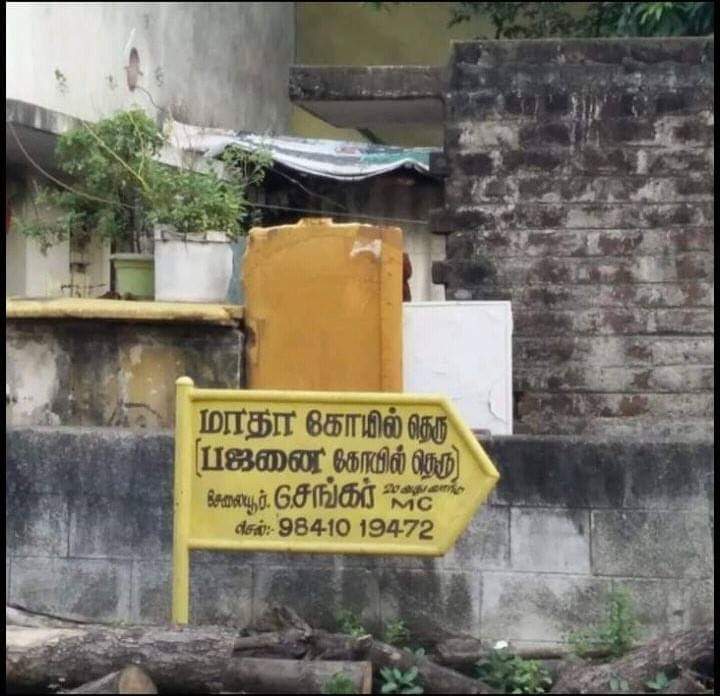 Manimoortheeswaram Uchishta Ganapathy temple in Tirunelveli: Christian Cemetery built right in front of the temple, on land captured from the temple. In Kerala, the Cochin Dewaswom Board is apparently planning to convert the Tekkinkadu maidan (ground), the venue of the annual Thrissur pooram at the ancient Vadakunathan Temple into a kitschy park with water pools, concrete walking spaces and other such unnecessary things aimed probably at obstructing many rituals associated with the Thrissur Pooram festival and other functions that are conducted at the temple grounds. The Shirdi Sai Sansthan Trust (SSST) which runs the Shirdi Sai Mandir at Shirdi; Ahmednagar was recently made to contribute an “interest-free” loan worth Rs 500 crore to the Maharashtra government for constructing a canal network for a dam. Not only is the loan interest-free, there is also no mention of “tenure” or payment date. What is the logic of calling it a loan when there is no tenure, payment-date, or interest on principal? This is plain and simple loot sanctioned and executed by the State government. Apparently this is not the first time that the Maharashtra government has dipped into the coffers of the SSST – The trust was made to contribute 70 crores for carrying out development works in Nagpur and the Vidarbha region. Earlier, 50 crores were taken from the Trust and handed over to the Maharashtra Airport Development Company. What has the government done in turn? Apparently nothing other than a promise of 3,000 crores for the temple and the town of Shirdi out of which not a rupee has been given to the Temple or the city. Dhananjay Munde of the NCP even accused the Maharashtra government of violating rules regarding appointment of trustees for the Saibaba shrine – If this is true, then it is clearly a move to take complete control of the temple and siphon off funds contributed by devotees toward “secular” purposes – why is the same yardstick not used when it comes to Mosques or Churches? In addition to the loot there is also the ongoing demolition of heritage structures and devatha murtis in the ancient city of Kashi that I wrote about here. Those who defend these demolitions in the name of Vikas (development), do not want to talk about why only Hindu temples are targeted for demolition and not churches or mosques – welcome to secular India. Rama was once talking to Agastya and the discussion went into the topic of who were the greatest warriors that Rama had faced. Rama immediately named two – Vali and Ravana and then smiled while adding “…but neither was a patch on Hanuman, nor could they do any of the incredible things that Hanuman could… Hanuman is the greatest warrior” – In this assessment, Rama included himself as well. And then at a metaphorical and philosophical level he is the great bridge who connects the atman (Sita) to the Paramatman (Rama) fighting to dispel all difficulties on the path, just as he helped Sita unite with Rama – all it requires is for a Sadhak to come into his sharan… Sharanagathi and he will offer all help.